Revision Rhinoplasty in Miami Florida - What is Revision Rhinoplasty? 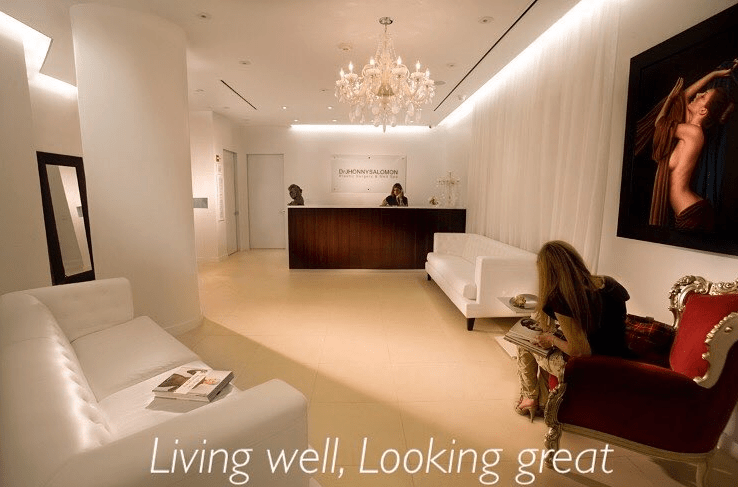 Dr. Salomon is board certified by the American Board of Plastic Surgery and specializes in comprehensive plastic surgery and medical spa services in Miami Florida. Revision Facial procedures performed by Dr. Salomon are part of a complete cosmetic surgery service that includes rhinoplasty, chin surgery, otoplasty, dimple surgery, eyelid surgery, face lift and neck lift surgery, liposuction, and medical spa treatments. Dr. Salomon has extensive experience and success in his field and can perform both primary and secondary (revision) rhinoplasty from his state-of-the-art plastic surgery facility in Miami Florida. Rhinoplasty continues to be one of the most popular plastic surgery procedures in Florida and across the country. Plastic surgery can significantly improve the features of the face to help boost self-confidence and alleviate functional issues. Nose surgery procedures can improve symmetry and create a more appealing profile, based on the needs of each individual patient. Rhinoplasty is also one of the most complex procedures and requires a highly experienced surgeon. Dr. Salomon is a true artist and has been perfecting the shape, size and functionality of noses for almost 2 decades. Revision rhinoplasty experience and extensive training ensures consistent results. Dr. Salomon has built a strong reputation over the years as a reputable plastic surgeon and he specializes in corrective rhinoplasty. What is the Revision Rhinoplasty Procedure or Corrective Rhinoplasty procedure? Revision rhinoplasty relates to all secondary procedures that are intended to improve functional or cosmetic complications that can occur following a previous rhinoplasty. An average of 25% of primary rhinoplasty require a revision. Several scenarios could create a need for revision rhinoplasty in Miami. Functional problems like a deviated septum could require septoplasty or other established techniques to correct breathing problems in patients. Under correction following a primary rhinoplasty may leave a hump or other cosmetic issues that require further surgical correction. Overcorrection following a primary rhinoplasty may require augmentation through cartilage grafts to achieve the desired profile. Primary rhinoplasty is a very complicated procedure that requires extreme surgical precision. Revision rhinoplasty is even more critical, and remedying functional problems, overcorrection, and under correction – requires exacting techniques performed by a highly qualified and experienced surgeon. Dr. Salomon has displayed a high level of competence throughout his career, with a high success rate. He will provide a complimentary consultation with your needs in mind and treats each patient individually with the utmost patience, compassion and care. After careful examination, Dr. Salomon will discuss your options for revision rhinoplasty during your first consultation. What Should You expect During Revision Rhinoplasty in Miami? Most procedures can be completed in one to three hours and are usually performed under general anesthesia. Dr. Salomon can perform endonasal (closed) or open surgeries, depending on the level of correction that is required. Closed surgeries utilize incisions created internally, while open surgeries use incisions around the underside of the nose. Specific techniques depend entirely on the revision rhinoplasty that is needed. Dr. Salomon will begin by making the necessary incisions to separate nose skin from cartilage and bone that supports the structure. Overcorrection is typically corrected using cartilage grafts. Cartilage can be donated from the ear or rib, or from the septum if available. The desired shape and profile of your nose is achieved by repositioning bone and cartilage. Incisions are sutured, and intranasal dressings are used immediately following surgery. A flexible splint provides both protection and optimal conditions for healing. Each surgery is unique. Your own experience may differ slightly from other patients. 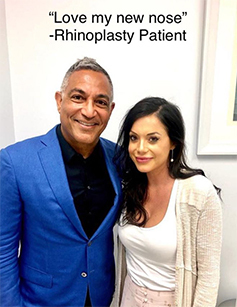 Dr. Salomon will explain, in detail, the specifics of your surgery, answering any questions and addressing concerns that you may have prior to your revision rhinoplasty procedure. What is the Recovery Process for Revision Rhinoplasty? Bruising, swelling, and some bleeding are common following revision rhinoplasty. Discomfort can be experienced by most patients but can be addressed with prescribed medication. Stitches and the splint can typically be removed at the end of the first week. Strenuous activity should be avoided for at least three weeks and contact with the nose should be avoided for up to six weeks. Light activity like office work can be resumed in the first week. Some swelling could last for up to a year after rhinoplasty, before full healing is achieved. Major swelling and bruising will subside within the first few weeks after surgery. Dr. Salomon will offer a complete overview of the recovery process based on your unique revision rhinoplasty in Miami Florida. What to Expect After a Revision Rhinoplasty Procedure? Excellent outcomes have contributed to the popularity of rhinoplasty in Miami. Corrective Rhinoplasty in Miami should always be completed by a highly experienced and accredited surgeon. 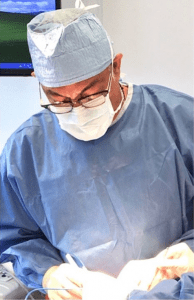 Dr. Salomon has an extensive understanding of both the surgical and recovery mechanisms, and will help guide you through your expectations, any potential complications, and the likely outcome of your surgery. Rhinoplasty expectations and goals are set in the initial consultation and Dr. Salomon will be there to assist you throughout the process. Make sure you are clear with your expectations up front – don’t be afraid to ask questions or express concerns so that the surgeon can provide clear guidance on what to expect in your individual revision rhinoplasty case. Dr. Salomon begins every consultation with a complete and detailed examination. The entire surgical process is based on generating the best results for your unique needs. The doctor will ask questions relating to your aesthetic concerns, concerns from previous surgeries, and any health or breathing problems you’ve developed since the primary rhinoplasty. Dr. Salomon will provide before and after photos of patients who have had similar surgeries so that you can see the results he can deliver. If you have suffered from breathing problems following a previous surgery, Dr. Salomon will explain your options to achieve both your functional and cosmetic goals. You’ll receive complete support all throughout the planning and consultation process. Are you ready to move ahead with your first consultation? Do you have questions about any of the process for revision rhinoplasty in Miami Florida? Call today at (305) 270-1361 to book your cosmetic consultation. Are You Ready for Revision Rhinoplasty? Dr. Salomon follows a strict ethical code, treating patients who are ideal for revision rhinoplasty in Miami. Patients should be in good physical and mental health. Expectations are clearly set during the consultation process. If you aren’t satisfied with the results of a previous rhinoplasty, you can speak with Dr. Salomon and he can address any questions or concerns about a possible rhinoplasty revision. How Much is Revision Rhinoplasty in Miami Florida? 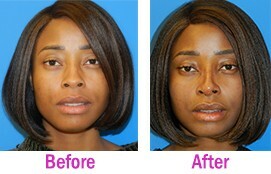 As a cosmetic procedure, revision rhinoplasty is not covered by medical insurance. Some policies may cover part of surgery if there are associated breathing or other health problems that are not related to a cosmetic procedure. However, each patient is unique, and we treat them accordingly. Dr. Jhonny Salomon Plastic Surgery & Med Spa accepts payments from various financing companies – call us today to discuss your options. Revision rhinoplasty is a surgical procedure that is performed on a nose previously operated to repair its shape and internal functions and is intended to resolve under corrected or overcorrected rhinoplasties. Revision can achieve desired cosmetic outcomes or address breathing issues related to a previous procedure. How Soon after Primary Surgery Can Revision be Performed? It can take up to a full year to heal from a primary rhinoplasty. Dr. Salomon recommends waiting the full 12 months before revision surgery is performed. However, this can vary on a case by case basis. The procedure is performed under general anesthesia at Dr. Salomon’s accredited ambulatory facility in Miami, Florida. Where are Incisions Made for Revision Rhinoplasty? Incisions are made either within the nose or below the nose, depending on the surgery. Dr. Salomon will explain the procedure for your unique case. An extensive consultation is carried out before the surgery to discuss your unique needs and goals. Skin is separated from bone in the surgery, before being repositioned to achieve the desired symmetry and profile. If necessary, grafts are taken from the septum, ear, or rib. Sutures are used to close the incisions and remain in place for one week in most cases. Dr. Salomon provides very detailed and monitored follow up care to ensure that the recovery process is successful. Does Scarring Occur Following Treatment? Any scarring within the nose is not visible after surgery. Patients receiving open technique surgery will have a barely visible scar between the nostrils. Is There Pain Associated with Revision Rhinoplasty? Surgery is performed under general anesthesia. Post-operative pain and discomfort can range but most of the patient’s state that it is tolerable. Dr. Salomon will prescribe pain medication based on your symptoms. The full recovery time for corrective rhinoplasty can take up to 12 months, but this can vary from patient to patient – recovery is often easier than the primary surgery. All recovery expectations will be outlined to you in pre and post-surgery consultations. Most patients can return to work seven days after surgery, with most bruising and swelling gone within the first few weeks. 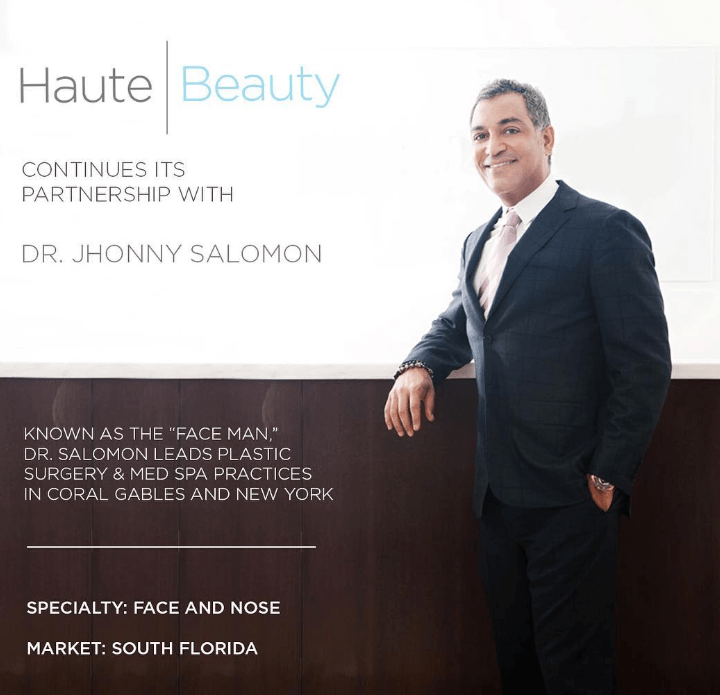 Dr. Jhonny Salomon is a highly respected plastic surgeon in South Florida and throughout the United States as well as internationally. Many patients have flown across the country and across the world to have Dr. Salomon operate on them. He has been recognized for his exceptional career achievements, academic writings, and for the results he has given to patients throughout his career. He has over 500 5-star reviews from his exceptional results. If you’re ready to discuss treatments with one of Florida’s most esteemed surgeons, it’s time to call for your consultation. 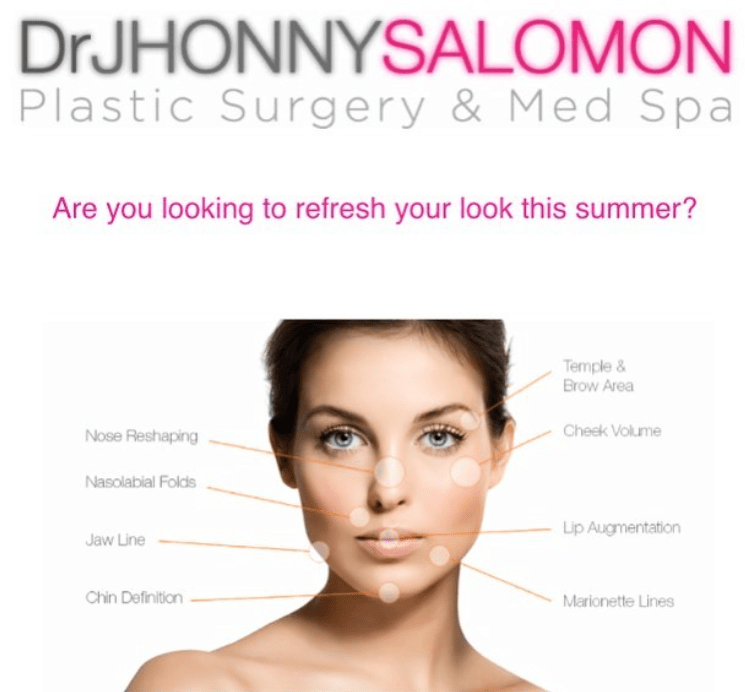 Call (305) 270-1361 to book your complimentary consultation at Dr. Jhonny Salomon Plastic Surgery & Med Spa. Dr. Salomon and the team look forward to meeting with you soon!